There is a closet built in 1953 – the shelves doweled, glued, screwed, and nailed on screw-mounted wooden riders. The shelves are permanent and built to withstand a great force. They are anchored to the house as solidly as the door frames and window sills. When trucks rumble by and planes fly too low, nothing moves or even so much as trembles inside the closet. Until now. A few days ago, closet door securely latched, several glass trays toppled to the floor, breaking one. 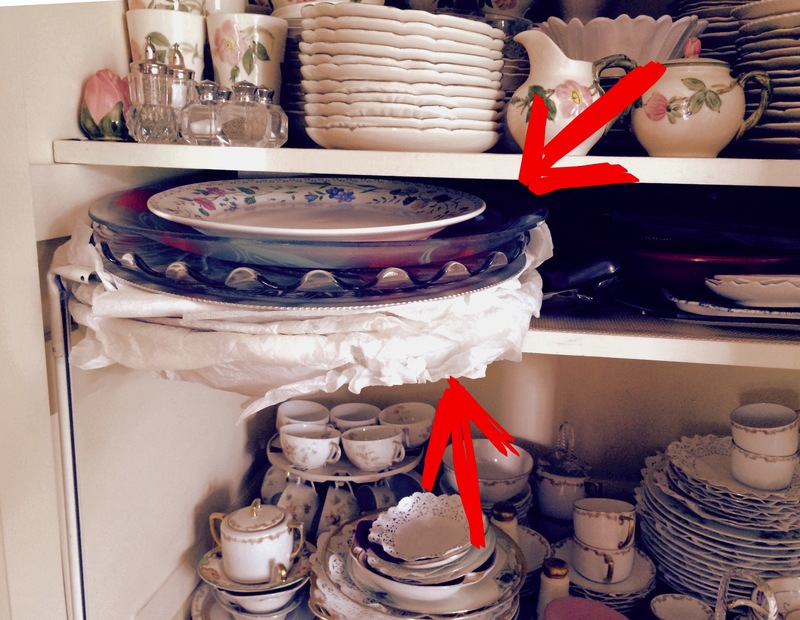 It is indeed a mystery because as you can see from the first photo below, the stacked trays are within 1/2 inch of the immovable shelf above. Notice on the second photo, that the trays are pulled out to indicate their maximum extension with the door closed. Regardless, the stack tumbled to the floor within the closed closet landing on the metal tray visible in the third photo. 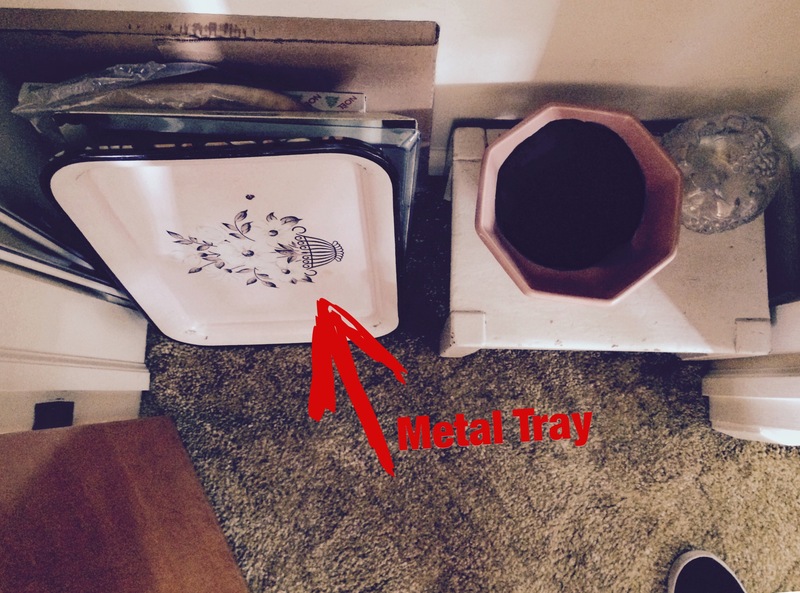 That metal tray is stored on the floor of the closet, and the stack from the shelf above landed as a unit – in place, offering only one large bang. There were no sounds of sliding plates or of multiple bangs as each fell separately; there was no chain reaction – just a single, very loud event. The door was immediately opened and only a middle tray was broken. The trays were still stacked on their sides in the exact order as above. “Well, it’s a tray so what’s the big deal?” Agreed, but these trays could not have physically fallen – it is scientifically impossible. 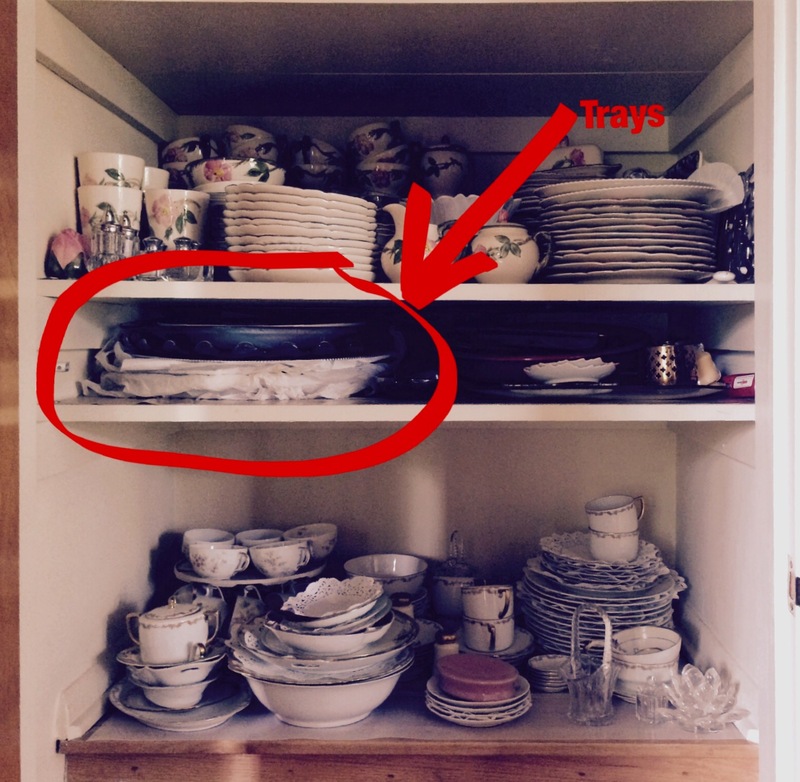 None of the trays could be extended past the mid-point necessary to fall while the door is closed. None of the trays could be tipped because the stack is so close to the shelf above. And not another item in the closet was moved – there are dust patterns to prove it. The trays themselves have been there at least 5 years and the surviving stack weighs 32 pounds. I am a witness that the door was closed and did not open as a result of the crash; that there was only a single banging sound. After the event, i pounded on the shelves with great force – they are so well anchored that my efforts caused no visible effect on any item still in place. There is no indication of rodents (freakishly strong ones), and the closet has no other access than through the door. It appears as though the heavy stack of glass trays was physically moved, and allowed to fall, even though, once again, with the door closed it could not have happened. And finally, if the door was open, the odds of the trays stacking neatly on edge on the floor below, is highly doubtful. Now, I don’t know if this is a paranormal event, but nothing suggests it isn’t either. There’s always a burden of proof somewhere in things like this, but suspending one’s own belief system from the equation, nothing stands out as solid evidence one way or the other. Still, somehow, the impossible happened. Someone once postulated that if you dropped a nickel on a table top enough times, at least once it would pass through the surface to the floor below. I actually understand the science behind that, but if the same principles could apply to an entire stack of glass trays, wouldn’t there be impact directly below? There wasn’t, so I don’t see theoretical physics bailing me out here either, so a permanent label of “unexplained” seems appropriate, if not somewhat understated. This is a first for me, and represents what I love the most about “the paranormal” – the indication that there’s something going on we just can’t understand. That with all our science and technological advances; with all the philosophies of life; with religion, esoteric practices, folklore, and magic – the idea that something like this can happen outside of any explanation rooted in any stretch of reality, completely consumes me. Personally, I’m in awe, and my sense of wonder is alive and well. Bring on the cups and saucers! I want it to happen again!